The Daily Agenda email is a simple but powerful feature. Once you set it up, you’ll receive an email every day with a list of the upcoming day’s events. It’s a helpful tool for planning your day or seeing other relevant schedules in a convenient list. Please note that a paid subscription plan is required to use this feature. 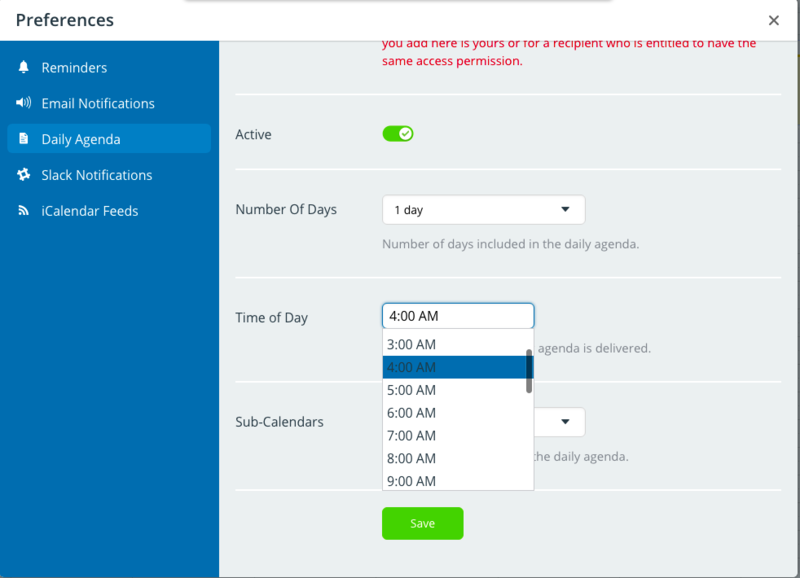 You can now choose the exact timing of the Daily Agenda email. Previously, all Daily Agenda emails were sent in the morning. However, you are now able to set the time that works best for you. 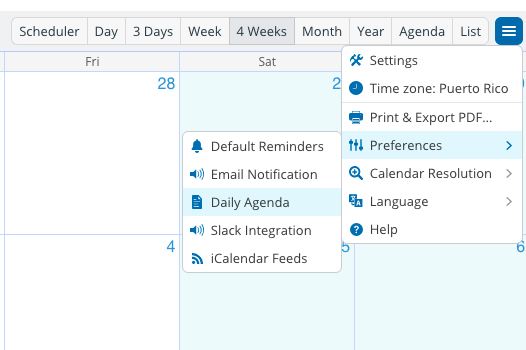 To set the time for your Daily Agenda email (or to subscribe to the Daily Agenda), click the blue menu button in the top right corner of your calendar. Then click Preferences > Daily Agenda. Set the time you prefer for the Daily Agenda email to be delivered. 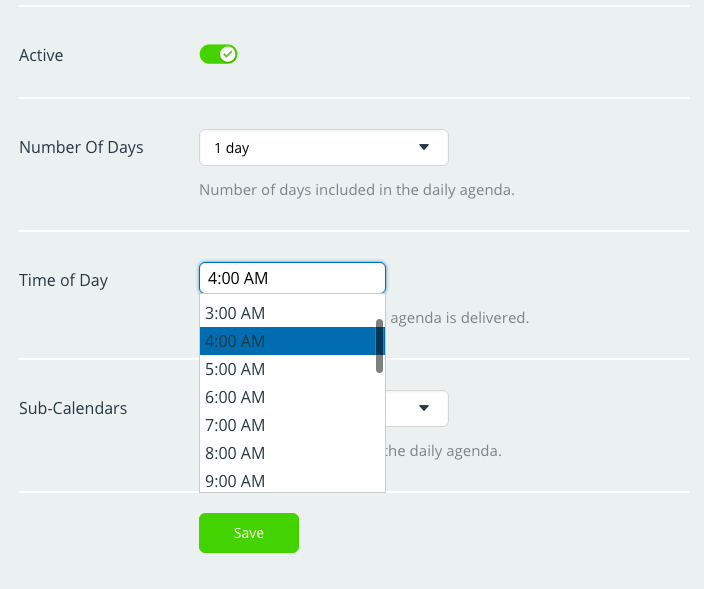 You can change your settings at anytime by returning to Preferences > Daily Agenda. Note that every Daily Agenda email contains the calendar link from which it is sent; do not forward or share your Daily Agenda emails with anyone who is not authorized to access the calendar link.